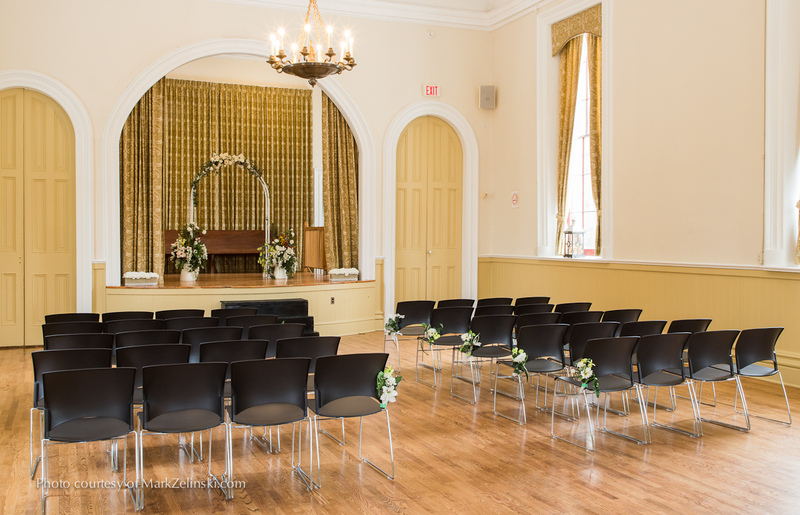 Hall rental with seating for 120 people. Wedding coordinator on site during your wedding ceremony. Coordinator to customize and assist with your ceremony details. (Religious or Civil). Music from our stereo system. Completion of the marriage license and registry by our office staff. The Ancaster Town Hall is available for full-service receptions coordinated by Heritage Weddings and exclusively catered by La Piazza Allegra. Rehearsals are not permitted at city sites. However, rehearsals at our on-site chapel are permitted for an additional $100.00. A non-refundable deposit of $350.00 is required to book the Old Ancaster Town Hall Package. The deposit can be used for up to two years if you need to postpone prior to one month from your wedding date. Balances paid up FOUR WEEKS from the wedding date.